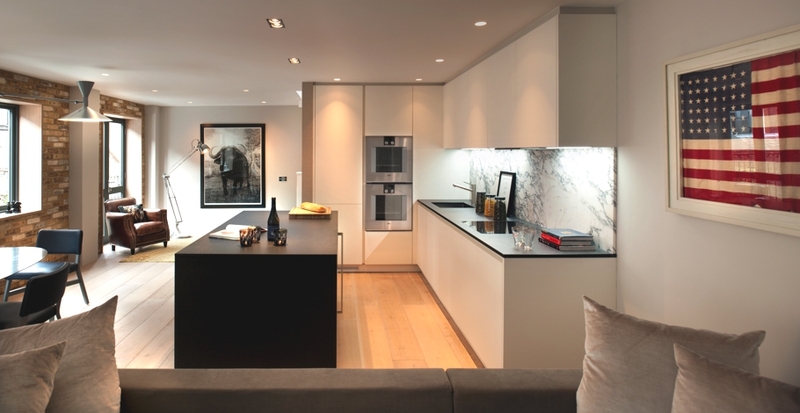 London-based architectural practice, TG-Studio , has designed the London Mews House project. 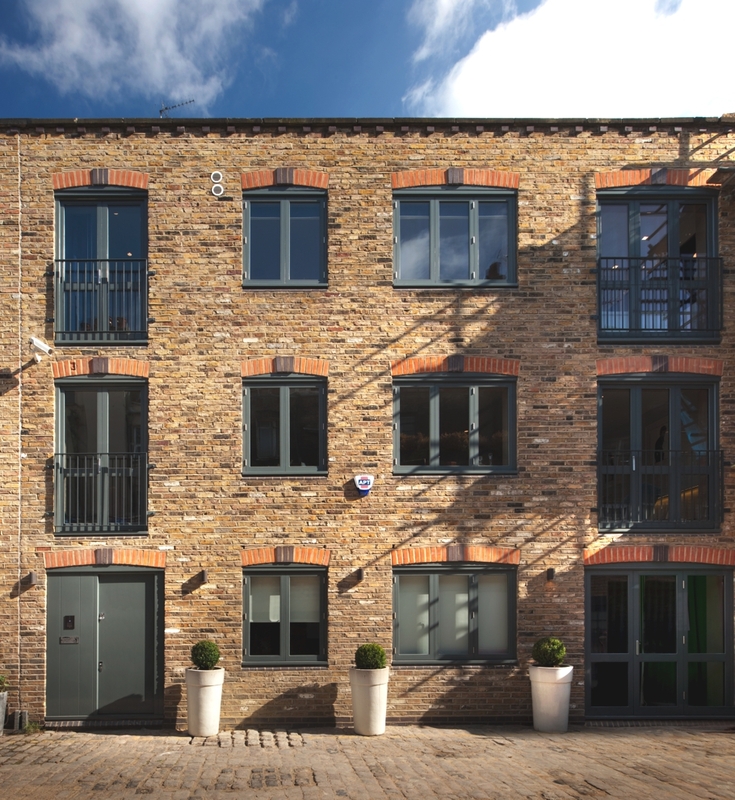 Completed in 2014, the three-storey terraced mews house was formerly used as an office building but was bought by a well-known fashion and horse photographer in 2012. 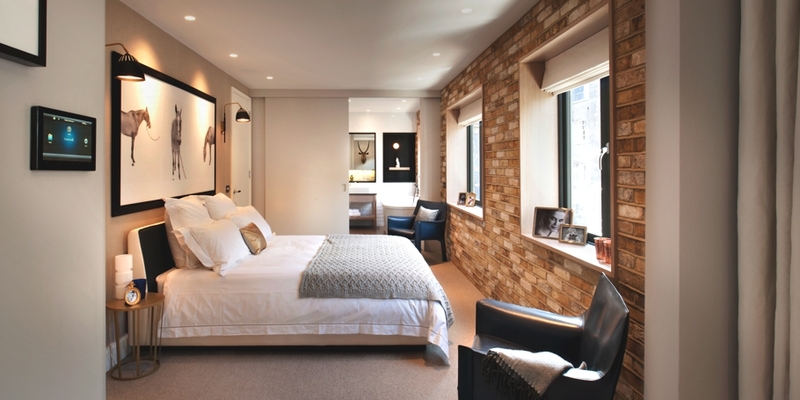 The luxury Mews House is located in the Fitzrovia area of London, England. The luxury London property now comprises ground floor office space, cloakroom WC and a guest bedroom with en-suite; first floor, a large feature kitchen, dining and living area; second floor a large master bedroom with en-suite and walk in wardrobe. 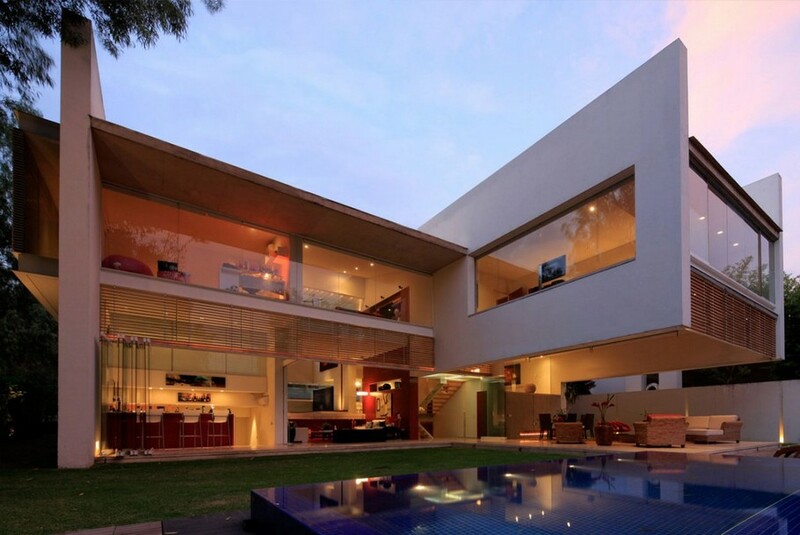 The house was stripped down to its structural walls and roof, and reinstated as a new modern home. 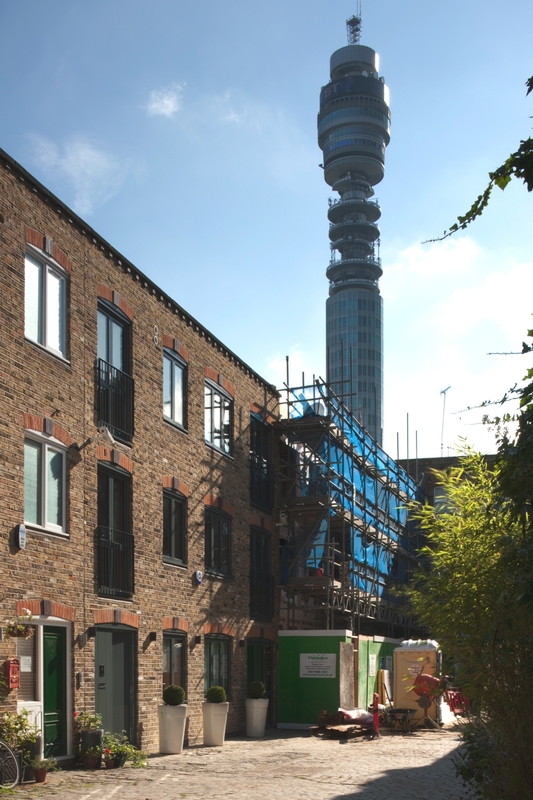 All of the external walls and roof were insulated and all windows and doors replaced. Some of the windows were extended to the floor and have a Juliet balcony. 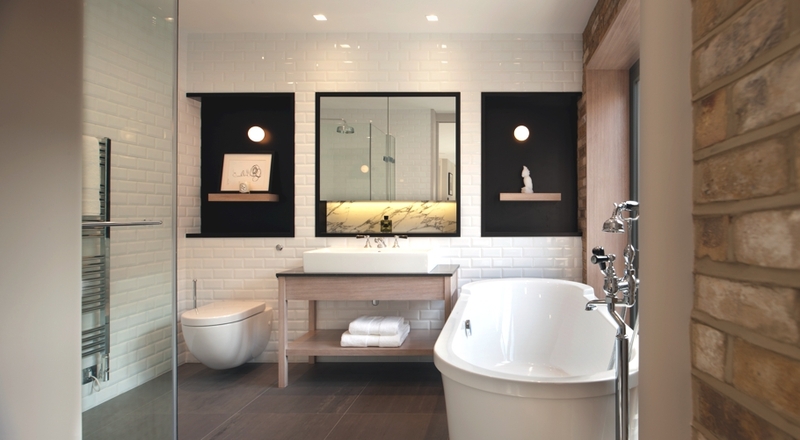 ‘Mike’s taste of a New York retro meets luxurious Fitzrovia makes the master bathroom look unique’ says Thomas Griem. 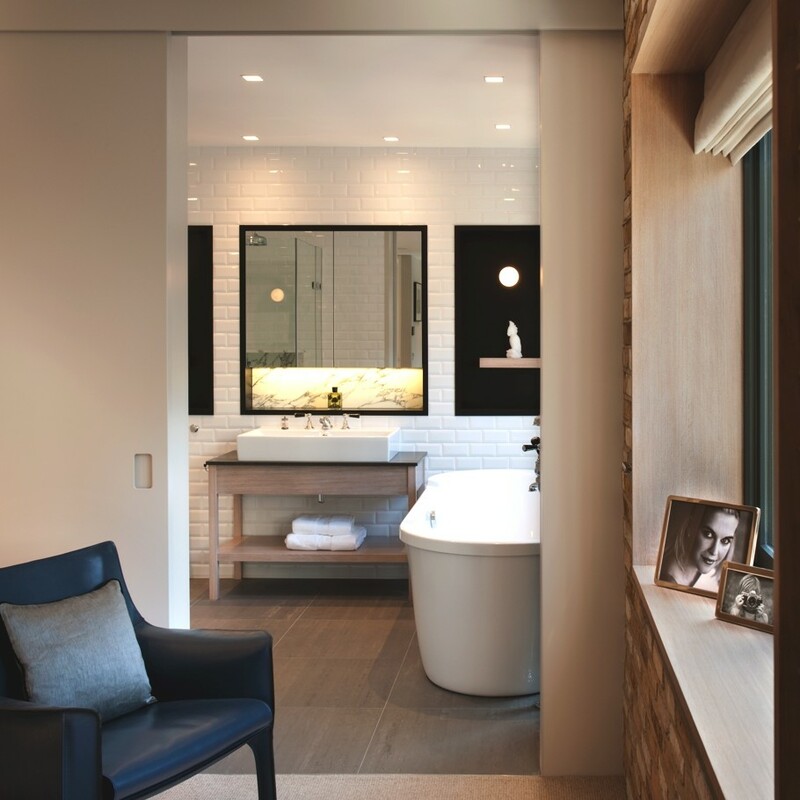 TG-Studio have selected traditional bevelled white tiles and mixed them with a lavish arabascato marble, matt black lacquer and grey basalt stone alongside an exposed brick wall. 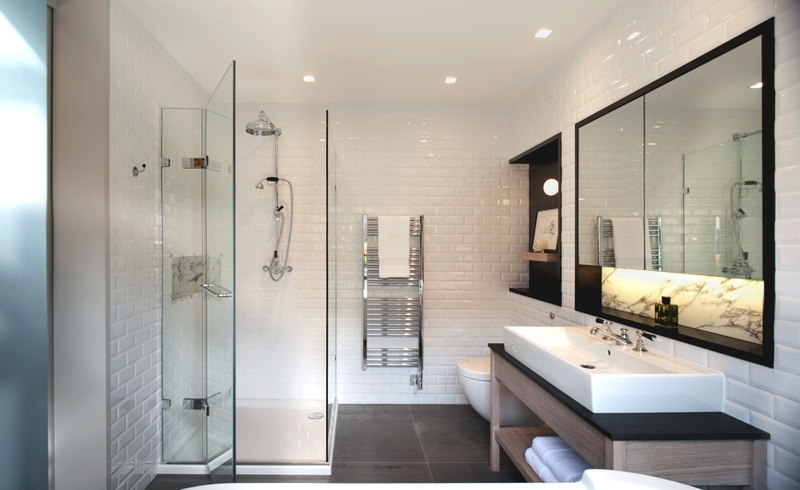 The bathroom fittings are a traditional English design complimenting the freestanding bath. 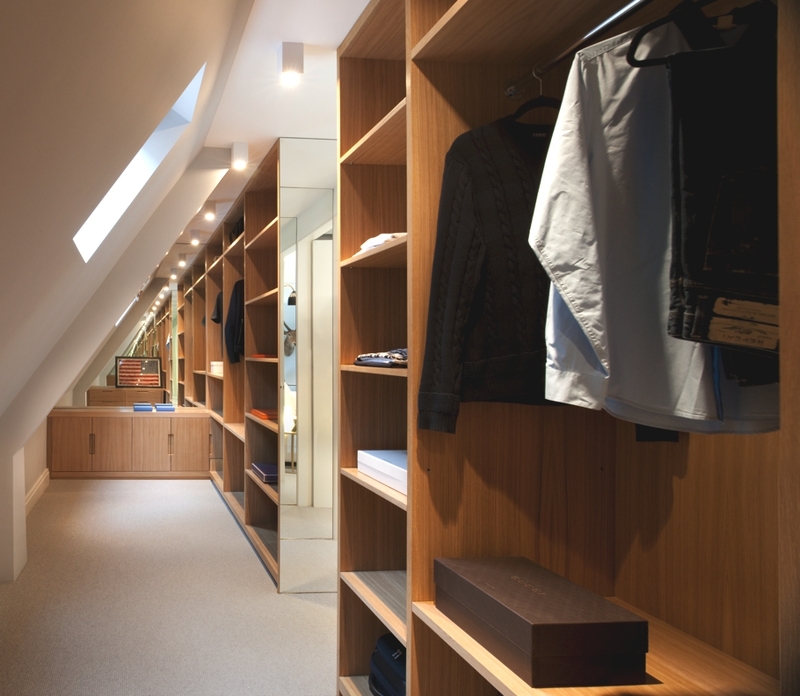 Clever layout design under the sloping roof allowed for the building of a five metre long walk in wardrobe and shelving. 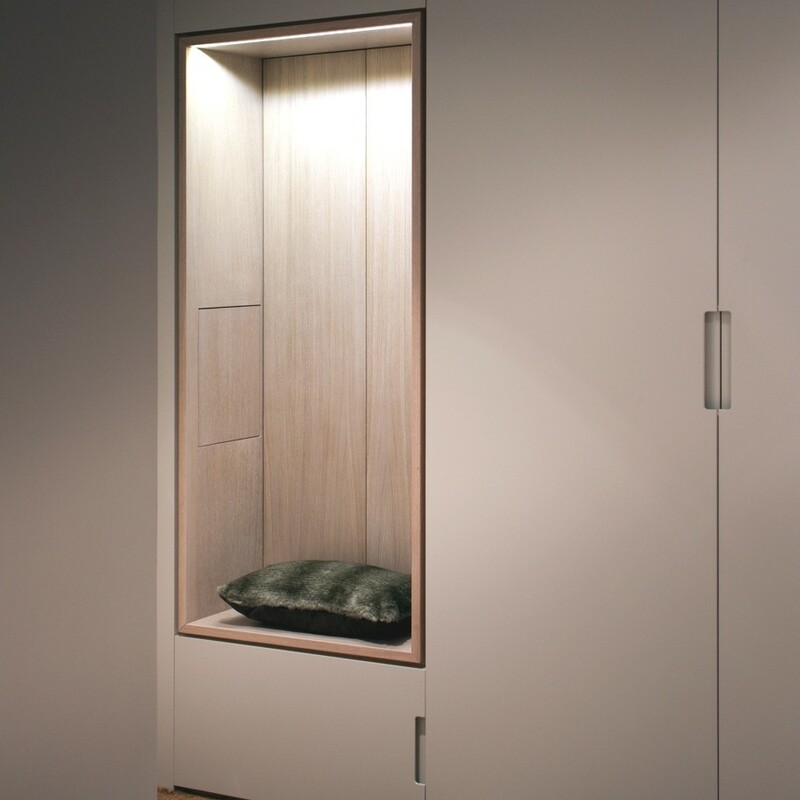 The clever use of mirror emphasises the sleek interior design. 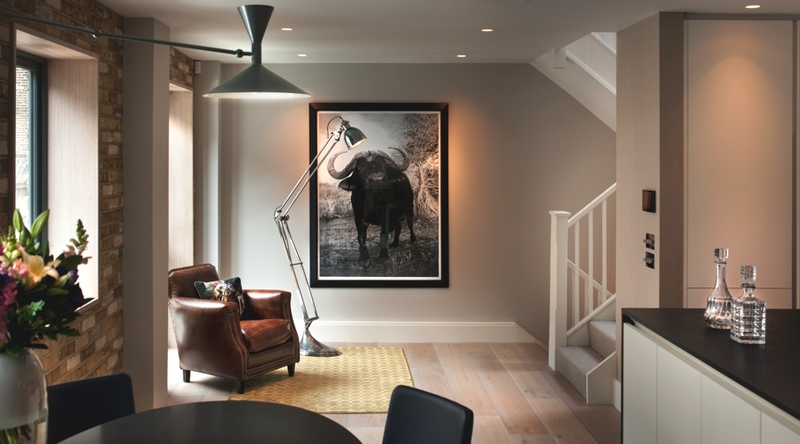 In the living room the oak floorboards continue up the end wall and finish at a lighting feature which adds to the feeling of height. Two of the windows were replaced by French doors. A window casing out of solid oak was fitted to emphasise the new thickness and solidity of the external walls. The TV unit is a TG-Studio bespoke design made for the client. The bedroom has a strong colour theme only white, beige and blue has been used. 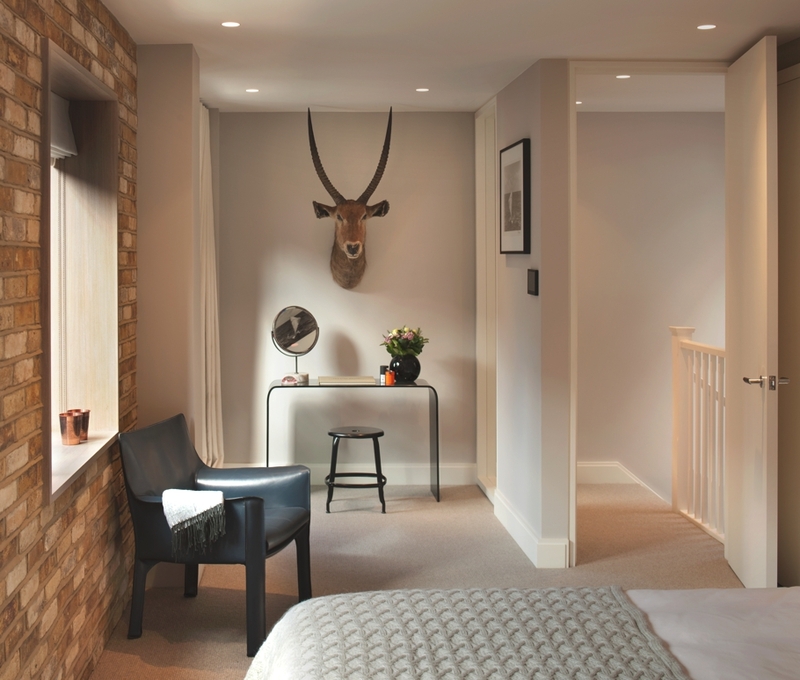 By placing gold items like the bedside table, cushion, inside of the wall lamps and organic beige rustic brick and oak window sills the total arrangement oozes style. 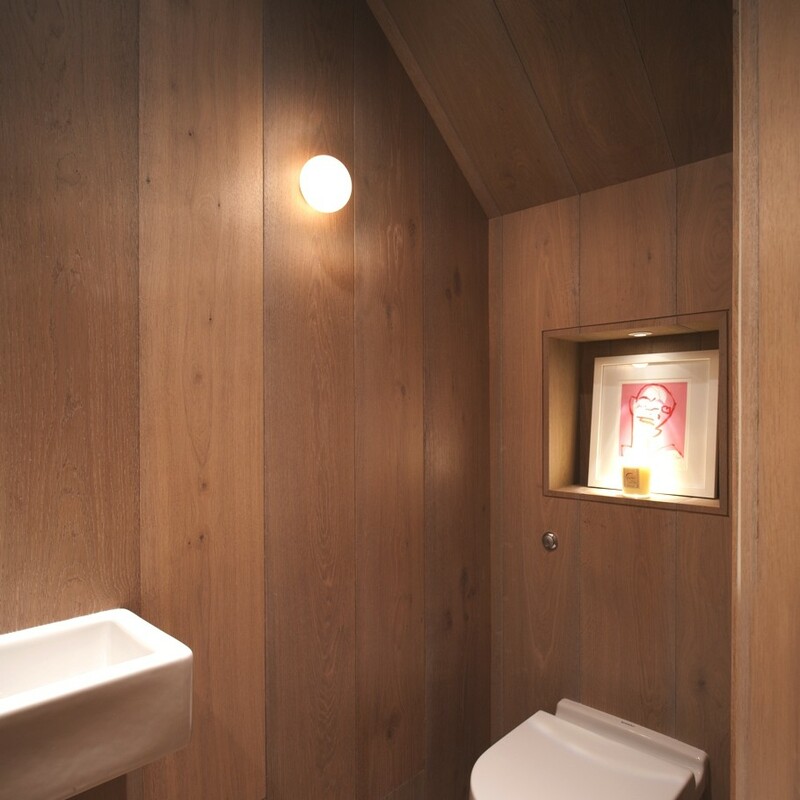 What was the design influence in the bathroom? And why did you pick a monochrome theme? The influence was imperial London. Grand halls in black and white marble and utilitarian white bevelled tiled kitchens. We translated that into black granite and matt painted wood with accents of veined white marble. What most stands out for you in this home? I am really please with having achieved a metropolitan lifestyle in a cute London mews house. Where as the façade says cobbled street and brick home, the open plan feel form is New York loft living. 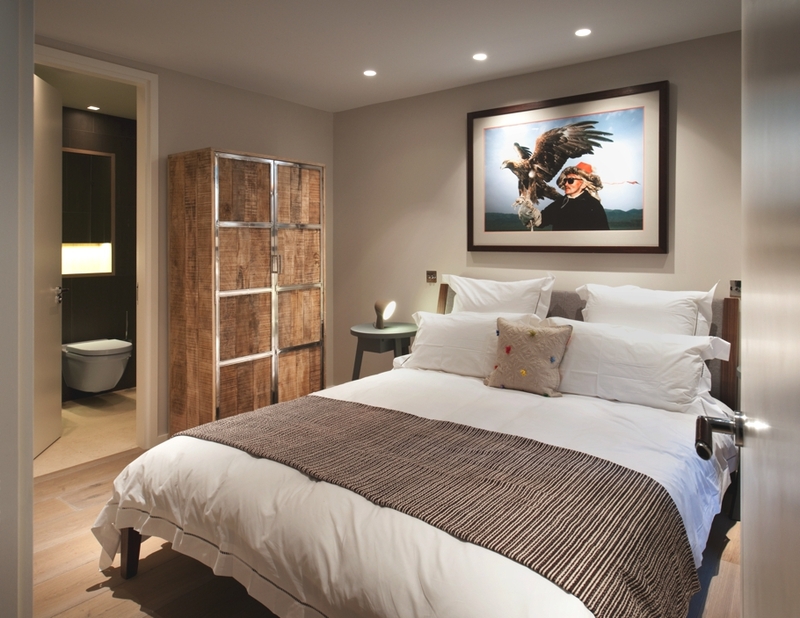 TG-Studio also fully furnished the Mews House which was complemented by the owner’s personal art. Montreal-based architectural practice, Atelier Moderno, have designed the Residence Nguyen project. 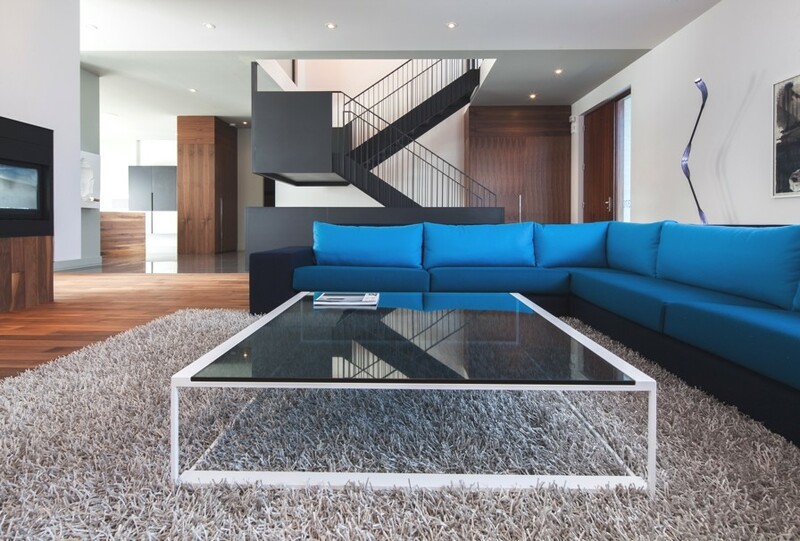 Completed in 2013, the luxury family home can be found in Nouveau Saint-Laurent, Montréal, Canada. Guadalajara-based studio Hernandez Silva Arquitectos has completed the Godoy House project, a brilliant residence which challenges the boundaries of space and colour.